Are you preparing to buy a microscope any time soon? There are several things that you need to consider so that you avoid some common mistakes that people make always. While the price is always an important consideration, it should never be made the ultimate feature in making a purchase decision. A microscope is an important investment and as a result you should always get good value for your money. There are many people who make the mistake of buying a microscope Australia because of the way it looks attractive on the picture; in some cases such a device could be very poorly constructed. One of the most important things you must ask yourself before you go further is the reason you are buying the microscope in the first place. If you intend to study specimens such as bacteria, blood, algae or such smaller specimen, you will want to look for a compound microscope. This is because such small specimens normally require higher magnification power so you can see the smaller details better. Compound microscopes have 3 or 4 objective lenses with a range of 4X to 100X. When you are using a standard 10X eyepiece you will end up getting 40X to 1000X magnification. Stay away from cheap versions that claim to give you 1200X to 1400X. When you want to study larger specimens such as rocks, leaves and insects you need to get yourself a stereo microscope. This is because the specimens you are studying don’t need too much magnification for you to see the details. Stereo microscopes Australia come fitted with at least two eyepieces and provide a three dimensional image of the object you are observing. Some of the most common forms of the stereo microscope are the zoom magnification and the dual power models. Dual power stereo microscopes have two magnification sets like the 2X and 4X such that when you are using a standard 10X eyepiece you end up with a 20X to 40X magnification. The zoom stereo microscope comes with a continuous zoom range from the lowest to the highest. 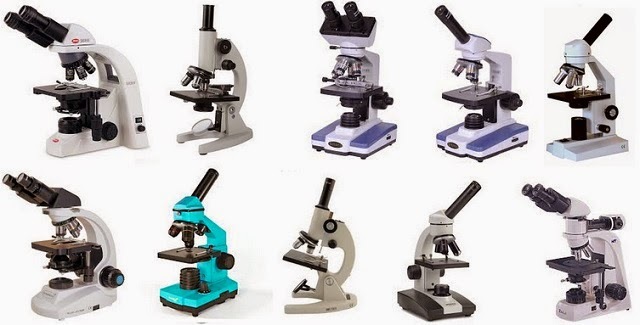 After you have decided on the reason you want to buy the microscope so you can study it correctly, the next decision will be choosing the brand that you are going to purchase. A search on the internet will reveal to you the number of brands that are available. The rule of the thumb is always that you must search different microscope sites so that you can find a common brand that is carried by most companies. There are a number of reputable companies that won’t sell their brands directly to buyers but they have legitimate websites through which they can be contacted. You do this kind of search in order for you to see which microscope brand has a real warranty when there is such a need.